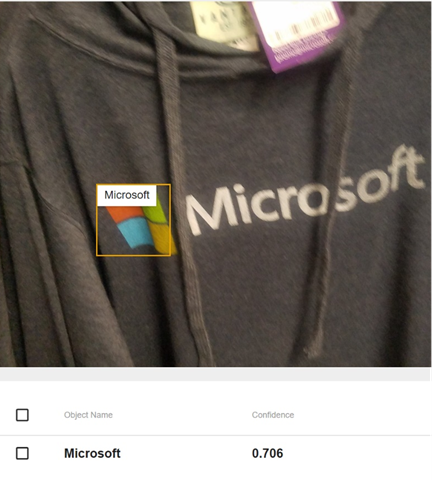 Computer Vision has more than doubled the types of objects, situations, and actions it can recognize per image. 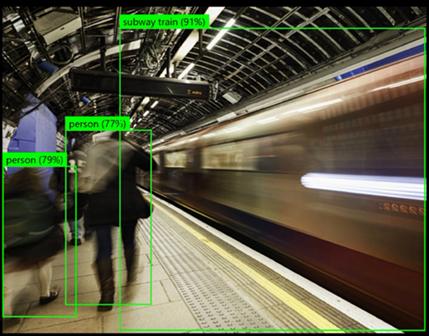 Easily automate cropping and conduct basic counting of what you need from an image with the new object detection feature. Detect thousands of real life or man-made objects in images. Each object is now highlighted by a bounding box denoting its location in the image. You can now track logo placement of thousands of global brands from the consumer electronics, retail, manufacturing, entertainment industries. Do at-scale image and video-frame indexing, making your media content searchable. If you’re in media, entertainment, advertising, or stock photography, rich image and video metadata can unlock productivity for your business. Derive insights from social media and advertising campaigns by understanding the content of images and videos and detecting logos of interest at scale. Businesses like digital agencies have found this capability useful for tracking the effectiveness of advertising campaigns. For example, if your business launches an influencer campaign, you can apply Custom Vision to automatically generate brand inclusion metrics pulling from influencer-generated images and videos. In some cases, you may need to further customize the image recognition capabilities beyond what the enhanced Computer Vision service now provides by adding specific tagging vocabulary or object types that are relevant to your use case. Custom Vision service allows you to easily customize and deploy your model without requiring machine-learning expertise. See it in action through the Computer Vision demo. If you’re ready to start building to unlock these insights, visit our documentation pages for image tagging, object detection, and brand detection.